See thelink for new rank canadian army. How many changes to general officers' badges of rank over the last few years? Those appear to be unchanged from the last round of updates when the Canadian Army reverted to the "Unification"-pattern rank markings for general officers, once again standardising their shoulder marks with those of RCN flag officers and RCAF general officers (which, to be fair, makes a lot of sense and is probably what they should have kept in the first place). All the pix I'd seen of the Chief of Defence Staff (an Army general) showed the British-style rank bagdges, but a quick Google Images search reveals that the pix from late June and into this month show the 1968 Canadian style, tho' in metal. 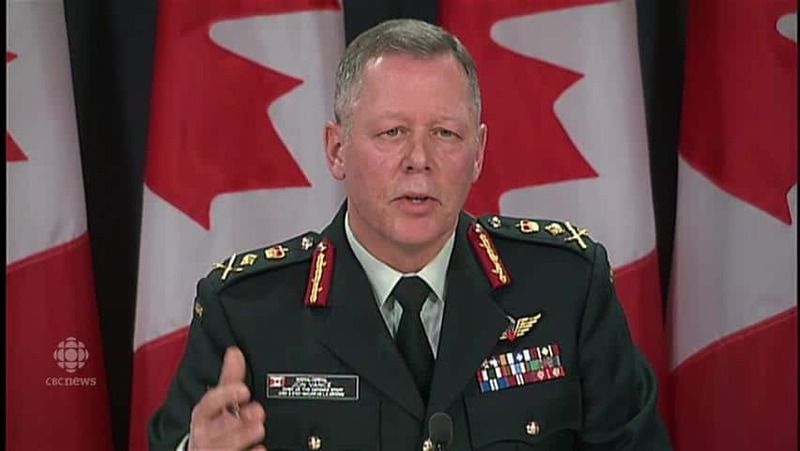 jrichardn2 wrote: All the pix I'd seen of the Chief of Defence Staff (an Army general) showed the British-style rank bagdges, but a quick Google Images search reveals that the pix from late June and into this month show the 1968 Canadian style, tho' in metal. so I guess the official changeover was at some point in between ? Hi! It's worth a quick search of the Forum; there was quite a lot of discussion about this in several threads. It was indeed a bit over a year ago. Hope that helps!